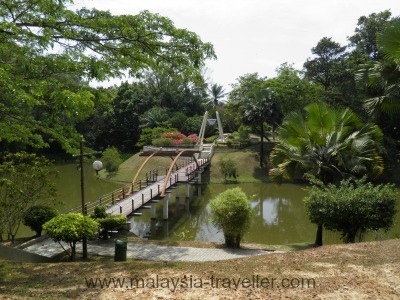 This beautiful park was once the estate of a stately government mansion, affectionately called “bumbung 12” (twelve roofs) by the locals. 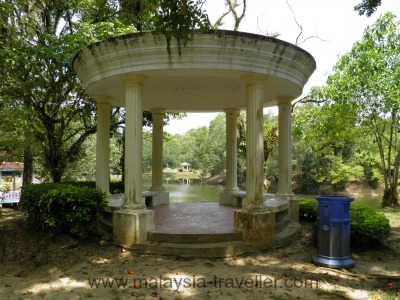 It was built in 1852 as the official residence for Labuan’s first governor, Sir James Brooke, and the island’s succeeding Residents. 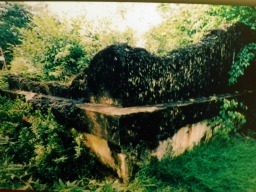 It served as the guesthouse for many dignitaries visiting the island. 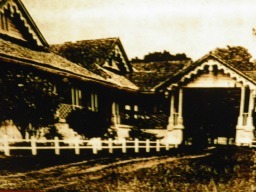 The Prince of Wales, (later King Edward VIII) also stayed here when he visited Labuan in 1922. A corner of this park was also used by one of the Residents (probably Hugh Low after whom is named Low’s Peak, the summit of Mt. Kinabalu) to raise dairy cows and produce butter at that time. 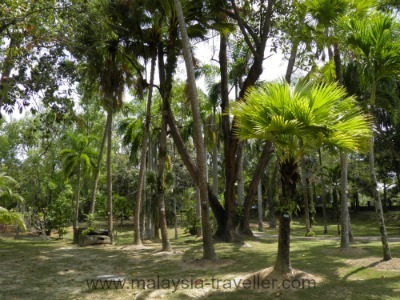 A century later on 10 June 1945, the old manor together with a large section of this park was destroyed under heavy artillery bombardment by the Allied forces to liberate Labuan from Japanese occupation.This historical park was rehabilitated and developed into a recreation park by Labuan Corporation in 2001. 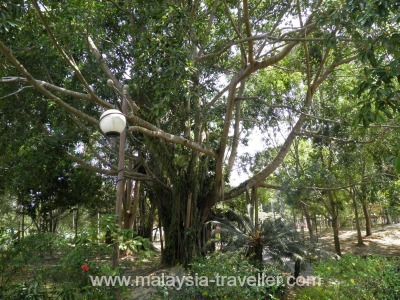 Various tropical plants are featured in different sections of the park including orchids, bougainvillea, hibiscus, heliconia, lilies, fruit trees, ferns, palms and herbs. Hard landscaping has added a skate ramp, reflexology path, gazebos, boardwalks, bridges, water features, a children's playground and a reading corner (not much reading going on during my visit). 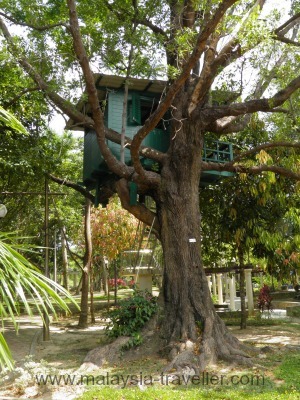 An attractive feature is a tree house perched on the branches of a mature tree overlooking the lake. There are two lakes, one of which has a boat house. An interesting historical item is a gravestone dated 20 June 1908 for a foxhound named Jim, who was the pet of one of the former Residents, a Mr. M.S. MacArthur. Another grave found here is of Captain James Gordon of HMS Wolf, one of the two British ships which anchored off Labuan at the end of 1846 to formally take possession of Labuan. He died of fever (malaria)? and was buried on 6th January 1847. A third grave is that of Colour Sergeant Adam C. Sutherland who died fighting pirates in the same year. The ghost of a decapitated lady, possibly the wife of Hugh Low, was thought to haunt the park but after an initial sighting she has not reappeared. 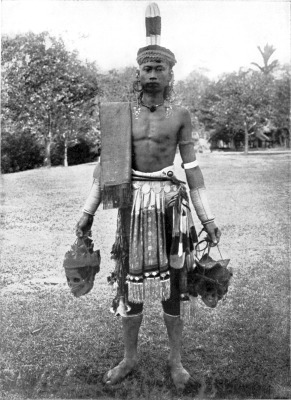 The ransacking of graves by head-hunting Dayaks in search of skulls was a problem faced by the early settlers of Labuan. Some preferred to be buried at sea rather than risk being desecrated in this way. Hugh Low is said to have dug 15 graves on the night his wife died in an attempt to confuse the headhunters. 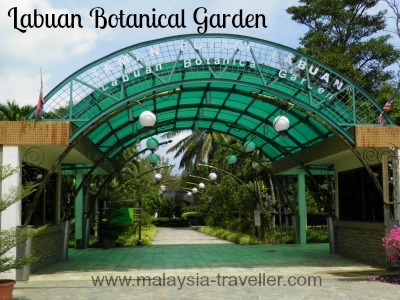 The location is marked on the map on my Top Labuan Attractions page. 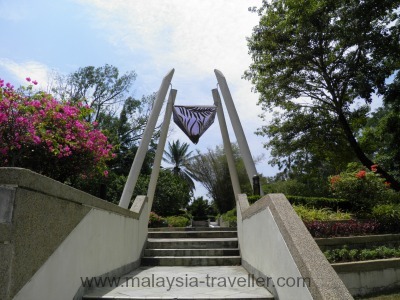 The entrance is on Jalan Oak Abdullah, opposite the Blessed Sacrament Catholic Church.